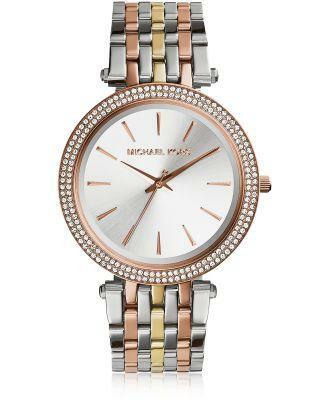 Darci Three Tone Stainless Steel Women's Watch, adds a little glam without going over the top. 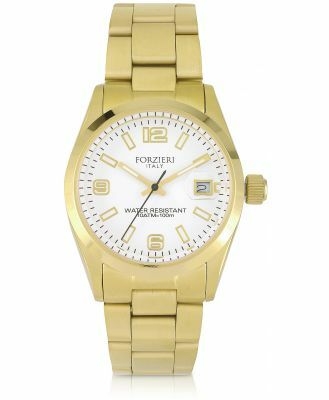 Featuring 39mm round case with pave crystal bezel, sunray dial with stick indices and logo detail and link style bracelet with deployant clasp. Water Resistant Up to 5 ATM.